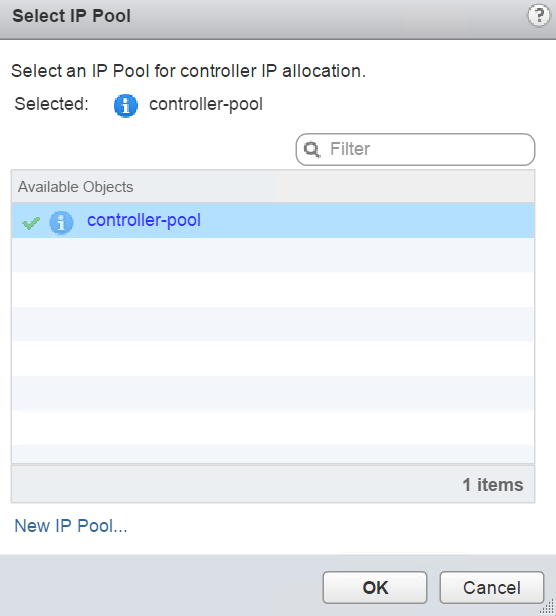 VMware NSX controllers are the control plane for NSX Manager. They are deployed in a cluster environment which allows you to add more controllers for better performance and high availability which means if one controller goes down, the other takes up the charge. One or more VMkernel interfaces on each ESXi host for VXLAN functionality. NSX controller keep these tables considering futuristic approach. Controllers uses a cluster and uses a voting quorum. They should be deployed in odd numbers and should be resilient. The minimum which you can deploy is 1 and max currently supported is 5. But 1 is not resilient and is not supported by VMware. However, it can be used for testing purpose only within the lab environment. If you have 3 node NSX controller cluster, it allows you to tolerate failure of 1 node, but if 2 goes down things would stop working. These clusters depends on a voting majority. This is because, in case of a split brain or there is a segmentation and 2 controllers end up in one partition and other one in another partition, the side that has 2 controllers knows that they have majority as they started with 3 nodes and they can establish changes. If you have only 2 nodes and they split into different partitions, they cant push any type of changes as both don't have majority. c. Workload is striped across the controllers using the concept of slices. Controllers scale for both performance and availability. Slicing method is used to distribute the workload. Every job is divided into slices and then its distributed across available nodes. When a new controller is added or existing one fails, these slices can be redistributed. A background function find out the master for each kind of roles. When a controller fails, a new controller becomes master. 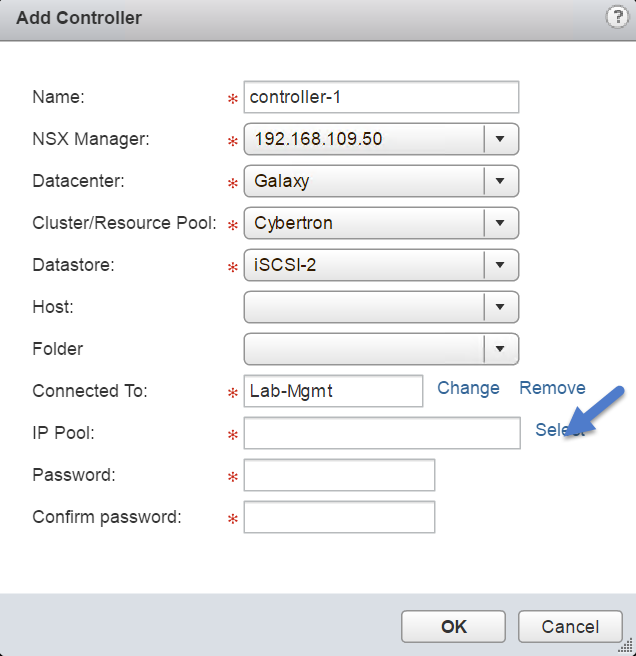 NSX Controllers are deployed by NSX Manager. You don't need any additional software of ova/ovf files for deploying them. Each deployed controller has 4 GB Memory and 4 vCPU by default. 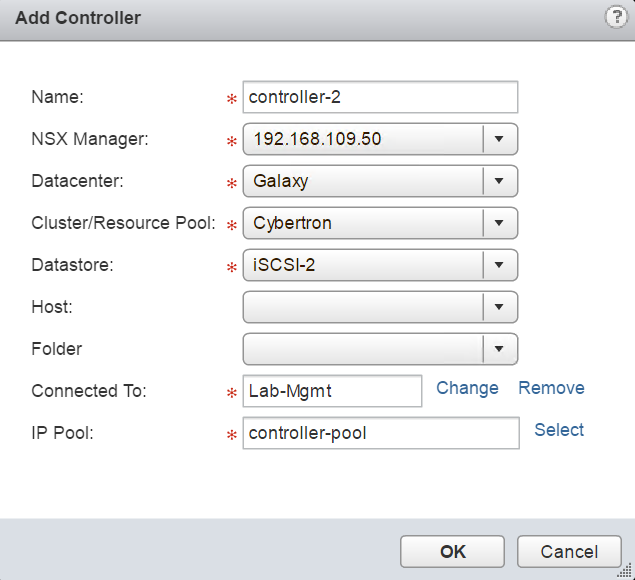 Provide the name of the controller and select the Cluster/Resource Pool and datastore where you want to deploy the controller. 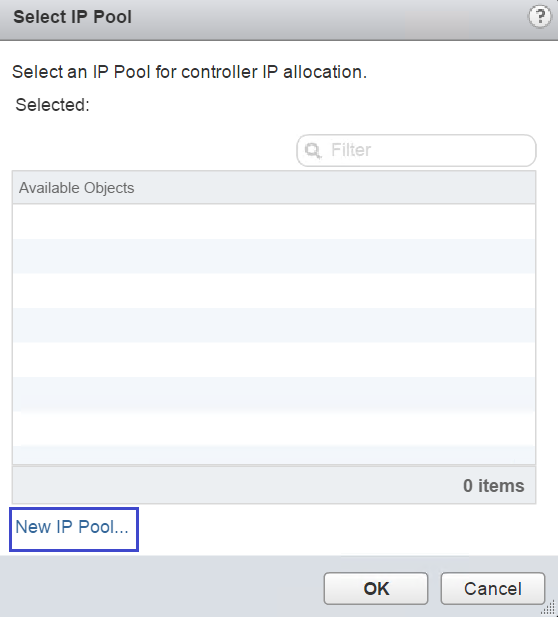 Also in Connected To box select the same layer 2 portgroup in which your NSX manager functions. Here you can see that NSX manager is now deploying a new controller. Also in Recent Tasks pane you can see a task triggered for Deploying an OVF template. Once the controller deployment done, you can see the status as connected. Here you can deploy additional controllers. Click on green ‘+’ button to add up a new controller. 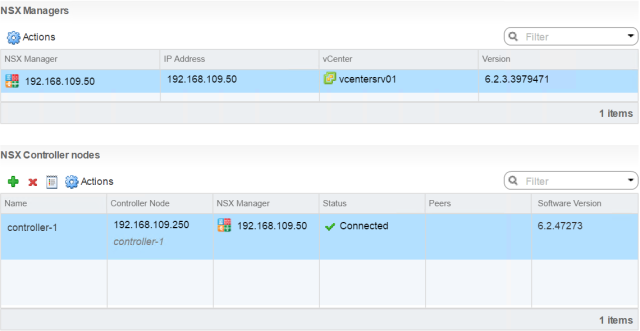 Provide a name and necessary information and Click OK.
Keep in mind that the password box will only appear for the First NSX Controller Node. For 2nd and 3rd node same Password will be used. We have deployed three controllers in my test environment and all are connected. 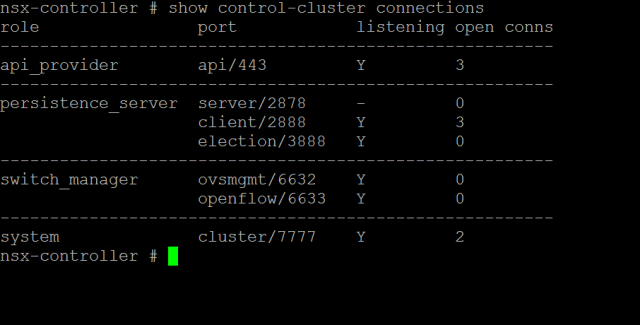 If you navigate to Host and Cluster view in vCenter, you can see 3 VM’s deployed which corresponds to all 3 controllers. At this point, let’s examine the controller cluster status via SSH to the controller. 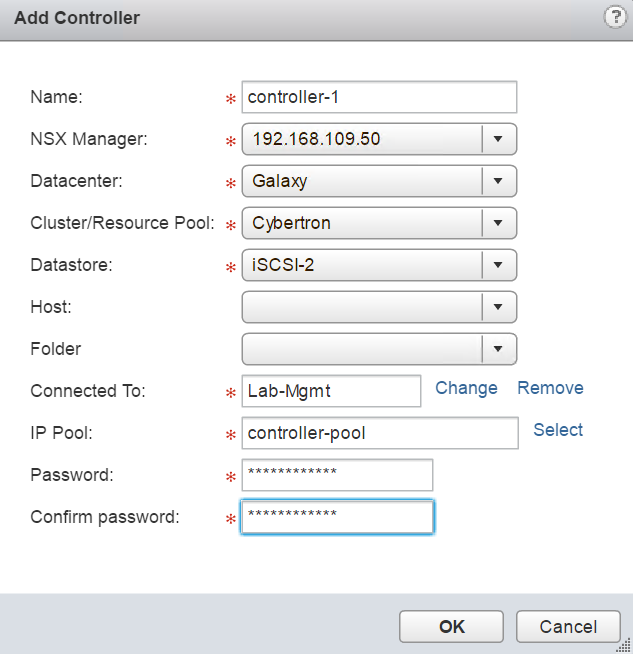 We have completed NSX Manager Controllers deployment. 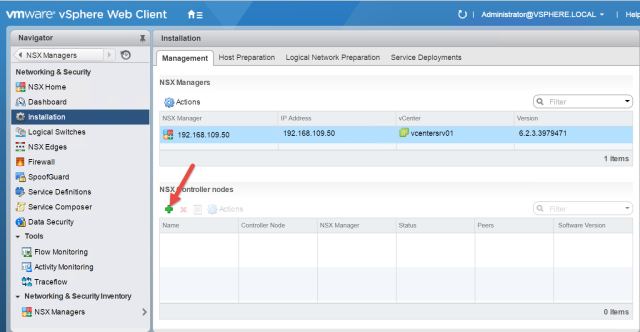 NSX installs three vSphere installation bundles (VIB) that enable NSX functionality to the host. One VIB enables the layer 2 VXLAN functionality. Second VIB enables the distributed router, and the 3rd VIB enables the distributed firewall. After adding the VIBs to a distributed switch, that distributed switch is called VMware NSX Virtual Switch. 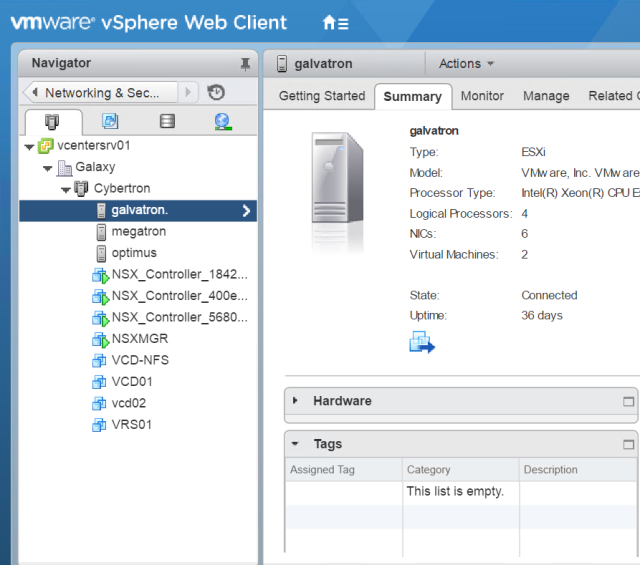 Login into vCenter Server using vSphere Web Client and Navigate to Networking & Security > Installation > Host Preparation. Choose your cluster and Click the Install link. 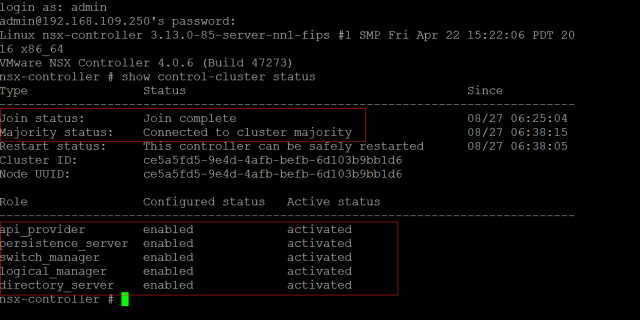 NSX will start installing the VIB’s on the ESXi hosts that are part of the cluster. It will take few seconds to install the VIB’s. 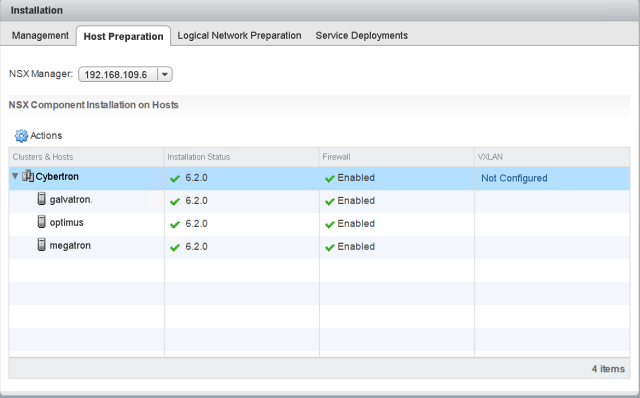 Once the installation is completed you can see Installation status as OK and also Firewall status as enabled. At this stage, VXLAN is not configured and we will configure it later. Upon completion of Cluster Preparation, you can see the vxlan is loaded under the custom stacks in TCP/IP configuration of the ESXi hosts. We have completed NSX Controllers deployment including the preparation of vSphere hosts and cluster. 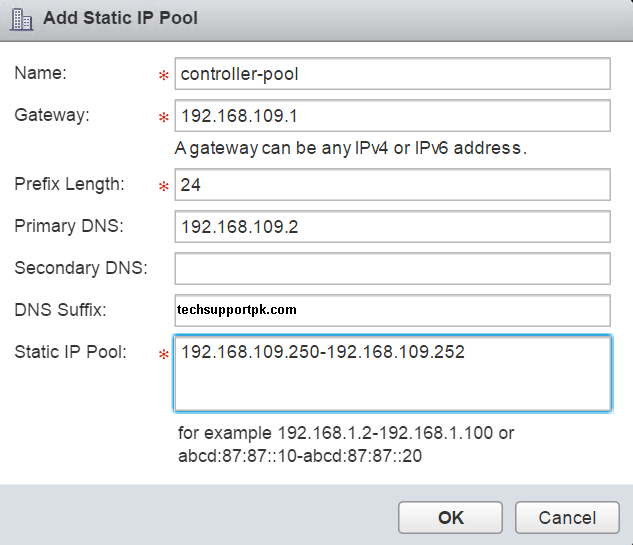 In the next part of this article, we will configure VXLAN on ESXi hosts.